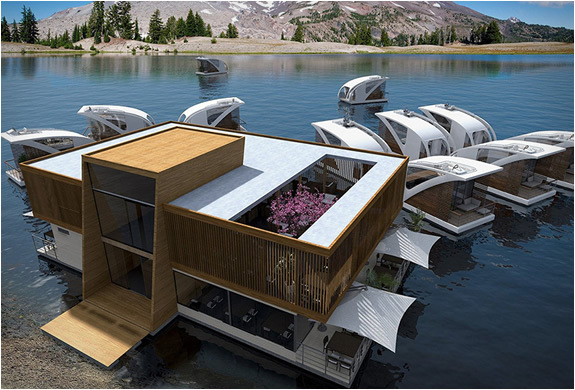 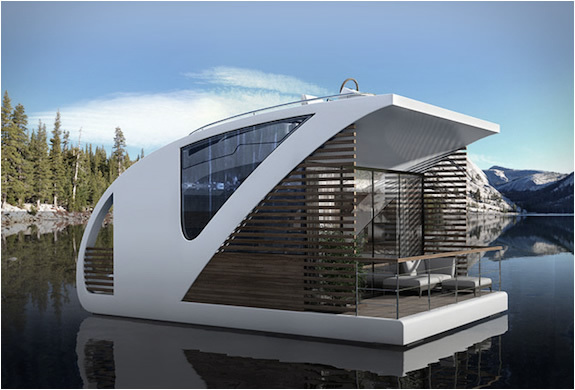 Floating Hotel is a really cool option for those who love creative ways of making inland tourism. 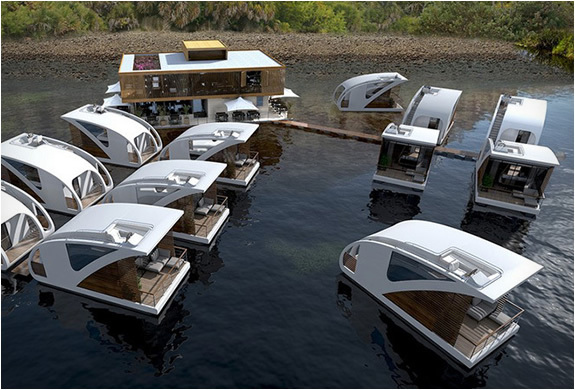 This award winning project by Salt & Water, consists of a main hotel structure, that includes the restaurant, a common living room area, a caffe and an event hall, you then also get smaller mobile structures, that are in fact small catamarans, that you can use to navigate around the main structure or drift off on solo adventures. 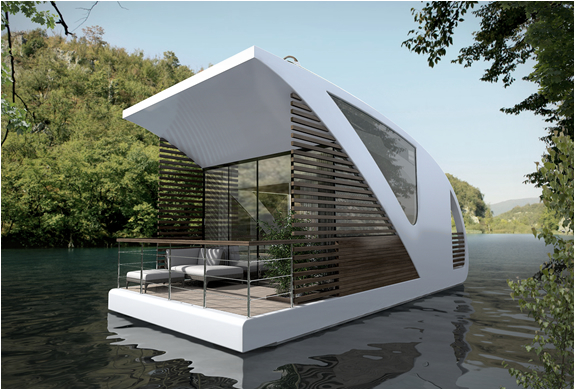 These smaller structures can take up to 4 people comfortably, you´ll have a salon, a galley, sleeping quarters, a bathroom and a private deck that you can use for fishing, take a swim or just get the tan going. 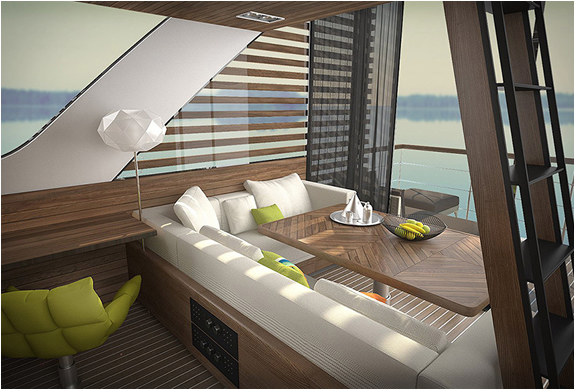 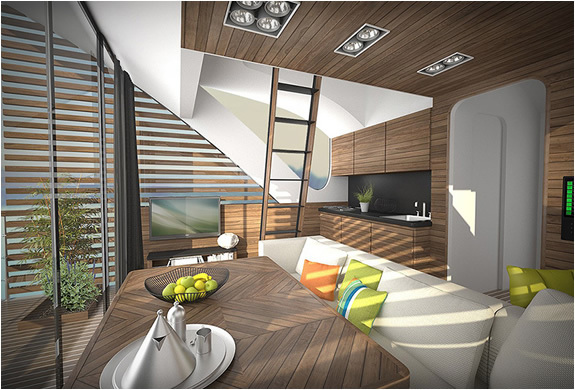 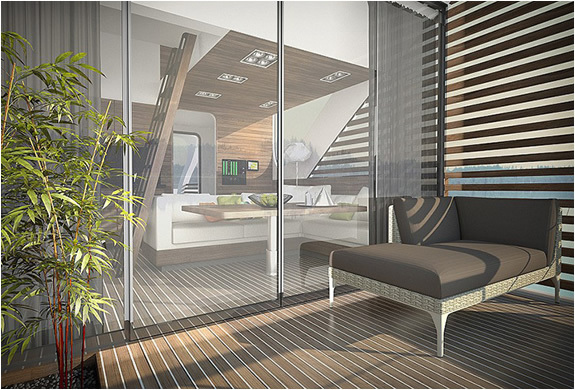 You get the static structure comfort and size, plus the mobility and intimacy of the catamarans, the best of both worlds.